Wow, what a great month this is for Pacific Monsters. Third shortlisting to an award in a very short time. I am thrilled to tell you that AJ Fitzwater is shortlisted to New Zealand’s Sir Julius Vogel Awards 2018 in the category Best Short Story for her story «From the Womb of the Land, Our Bones Entwined» in Pacific Monsters, a very special story about the battle with earthquakes. AJ builds her story on the New Zealand Maori myth of Papatūānuku, the earth mother, and her son Rūamoko. Rūamoko was left in his mother’s womb, and it is his movements which are said to cause earthquakes, volcanoes, and the change of seasons. This is not AJ’s first shortlisting to this award, in fact she is a two time Sir Julius Vogel Award Winner. I am a very proud editor! Congratulations to AJ, best of luck. 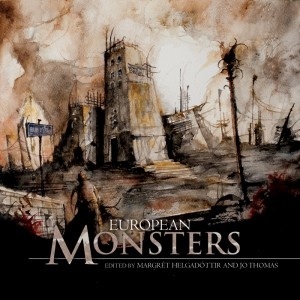 Several other Pacific Monsters contributors are also shortlisted to the awards but for other lovely works. Congratulations to all. See all the shortlisted here. The winners will be announced at Conclave3, to be held over Easter weekend. Sir Julius Vogel was a Prime Minister of New Zealand, and wrote in 1889 what was probably the first full length Science Fiction novel by a New Zealander, Anno Domini 2000 – A Woman’s Destiny. The awards are organized by the Science Fiction and Fantasy Association of New Zealand. 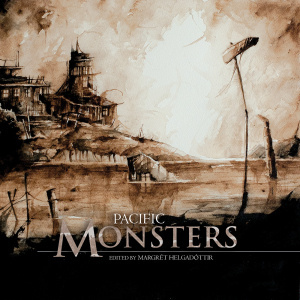 Read more about Pacific Monsters from Fox Spirit Books here. The book can be ordered here.